When he was running for president in 2008, Senator Obama promised not to raise “any taxes” on families making less than $250,000. Fifteen days after being sworn into office, he broke that pledge by signing the SCHIP bill that included a major increase in federal tobacco taxes. 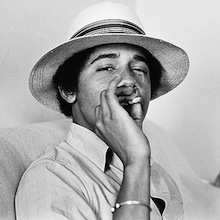 Now, five years into his presidency, Obama (himself a longtime cigarette smoker) has proposed raising taxes further. His proposed budget for fiscal year 2015 includes a 94% increase in tobacco taxes. For cigarettes, the federal rate would jump from $1.01 to $1.95 per pack, up from 39 cents per pack in 2008. The new excise tax rates would then be increased annually to account for inflation. The rate on cigars, which is a percentage of sales as opposed to a per-unit tax, would increase proportionally, presumably with the tax cap jumping from 40 cents per cigar to upwards of 75 cents. According to an IPCPR statement, in FY2015 the proposed tax hike is estimated to raise $78.217 million over 10 years, which the budget says would be used to fund pre-K education. And that is exactly the key takeaway. President Obama has repeatedly promised that tax hikes wouldn’t impact anyone not in the highest income percentiles. But, like so many areas, there’s an unwritten asterisk when it comes to tobacco. Tobacco taxes disproportionately impact lower income income Americans, and that doesn’t include the lower income people in other countries who would lose their jobs as consumption is reduced by the high prices of increasingly climbing taxes. Yet, even a president who says he only wants to target the wealthiest Americans with higher taxes feels free to target those with lower incomes if they smoke. Ultimately, the key point is that cigar smokers (and other tobacco users) need to make it clear to their elected officials that they are taxed enough already. If something (whether it be pre-K education or anything else) is worth paying more taxes for, then they should seek to pay for it out of taxes that impact everyone, not taxes targeted at a minority that already pays more their than their fare share. While I applaud your libertarian impulses (#nannystatebegone), I wonder whether those of us who enjoy handmade cigars shouldn't be so eager to equate our interests with those who prefer the nicotine delivery system of cigarettes. Frankly, I rarely care about the nicotine in cigars, and when I do it's because the cigar has too much nicotine. Perhaps the political position of cigar smokers should be about whether handmade cigars and cigarettes are fairly lumped together as "tobacco products." I've never heard someone promote the overtaxation of coffee because of the dangers of No-Doz. I certainly agree that cigars are fundamentally different from cigarettes in purpose: one is, as you say, a nicotine delivery device, while for cigars nicotine is secondary to the flavors and other experience that it delivers. Unfortunately those who hate tobacco and smoking make no distinction, and they are the ones proposing increased taxes. So for better or worse, on taxes (as opposed to FDA issues), cigars and cigarettes are lumped together and probably will be in the foreseeable future. Further, from a practical prospective, cigars have even less political power than cigarettes, and just as many enemies. So I'm not sure why we'd do any better without having cigarette smokers and companies as allies against the higher taxes. I agree those who harbor an irrational hatred of all things tobacco-like eagerly equate cigarettes and cigars. Anyone seriously capable of equating the water vapor of an e-cig to an actual cigarette simply cannot be reasoned with. But I find (anecdotally, I'll grant you) that most people who dislike cigarettes and all they stand for are willing to acknowledge the significant differences between handmade cigars and cigarettes. Again, I wonder whether cigars would continue to have just as many enemies as cigarettes if cigar smokers weren't quite so eager to concede they should be treated similarly. But I'll concede your essential point: would we be better off shedding a powerful (yet losing) ally in the face of irrational zealotry? Perhaps not. But still . . .